We love shredded meats. Like, really love them. 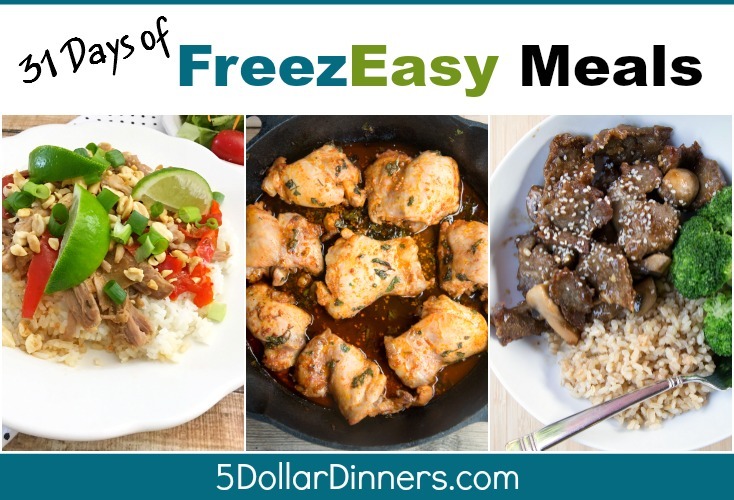 They are so easy to make (usually in the slow cooker) and you can ‘sauc-ify’ them easily to give them such amazing flavor. Then you can use the shredded meats in tacos, enchiladas, on “haystacks” or in soups, etc. This didn’t start out as a “haystack” kind of meal…but ended up as one after I finished adding all the garnishes! 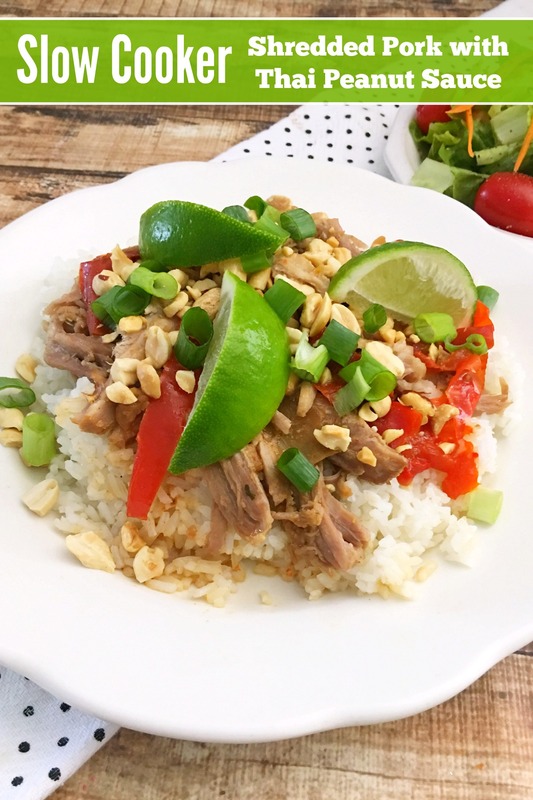 All these garnishes are totally optional – but the core of this is the shredded pork, peanut sauce and peppers. Start with those and then go crazy with your preferred toppings! This is a lick your plate clean kind of meal….enjoy! Seed and slice the red bell pepper. Thinly slice the onion. In a mixing bowl, whisk together the soy sauce, peanut butter, vinegar, lime juice, ground ginger and garlic powder. Add in a few pinches of salt and pepper. Set on low and cook for 8 hours. Once cooked, use 2 forks and shred the pork meat into the sauce. 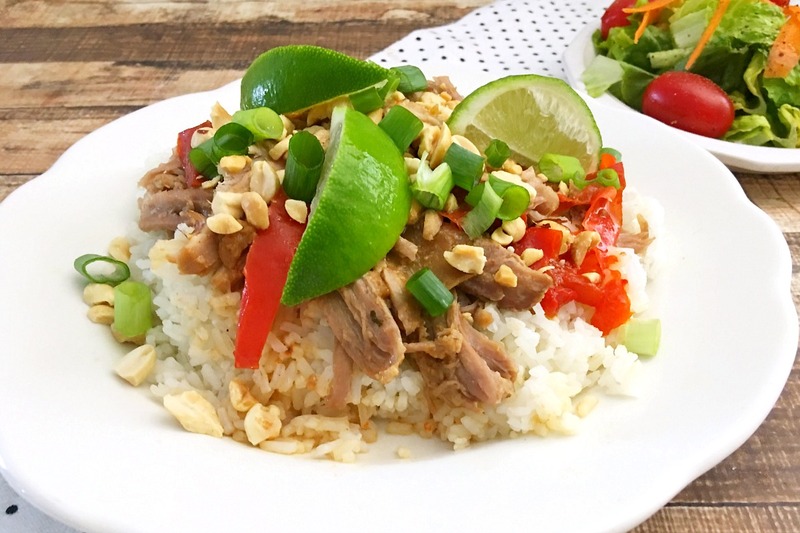 Serve Shredded Pork with Thai Peanut Sauce over rice with side salad. This recipe is featured on Meal Plan Monday #128. Would this be a decent one to freeze? If I just poured all of the ingredients into a freezer bag instead of the crockpot? Absolutely! Throw everything except the garnish and side dishes in the freezer bag. Then thaw overnight in the fridge and slow cook away!